Anderson Talisca revelled in a "wonderful start" after the Brazilian hit a dazzling debut hat-trick for Guangzhou Evergrande as they try to resurrect their challenge for an eighth straight Chinese Super League crown. 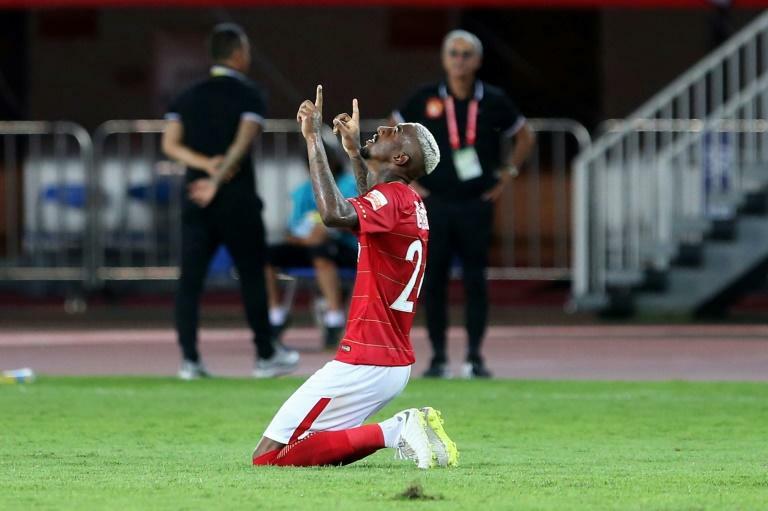 Talisca, who arrived on loan from Portuguese side Benfica during the summer transfer window, set up Guangzhou's first goal and added three of his own in a 4-0 thrashing of bottom-dwellers Guizhou Zhicheng as the season resumed Wednesday after a two-month summer and World Cup break. "God's plans are wonderful! Great match by the whole team!" Talisca, 24, said in an Instagram post. "Wonderful debut: 3 goals, 1 assist," he added. Talisca's performance broke a six-game winless run for the champions which had seen them slide to fifth before the recess, piling the pressure on Italian World Cup-winning captain Fabio Cannavaro who rejoined the team as coach this year. Guangzhou, who also brought back Brazil's World Cup midfielder Paulinho from Barcelona during the break for his second spell with the club, moved up to fourth as a result of the victory. Talisca headed in a corner in the 28th minute and ripped in a second goal from just outside the box in the 62nd after a move started by Paulinho. Talisca looped in a free-kick 15 minutes later. Other results helped Guangzhou as the top two Shanghai SIPG and Shandong Luneng drew 1-1 allowing Beijing Guoan to leapfrog them into first place, four points ahead of Evergrande. Beijing enjoyed a 2-1 win at home to Henan Jianye with French-born Congolese striker Cedric Bakambu and Spanish import Jonathan Viera scoring for Guoan. Several other teams have acquired new foreign imports for the second half of the season. Morocco's World Cup striker Ayoub El Kaabi has joined Hebei China Fortune while Serbian centre-back Dusko Tosic, who also saw action in Russia 2018, moved to Guangzhou R&F. Shanghai Shenhua acquired Senegalese former Chelsea striker Demba Ba and Italian international Eder moved to Jiangsu Suning.